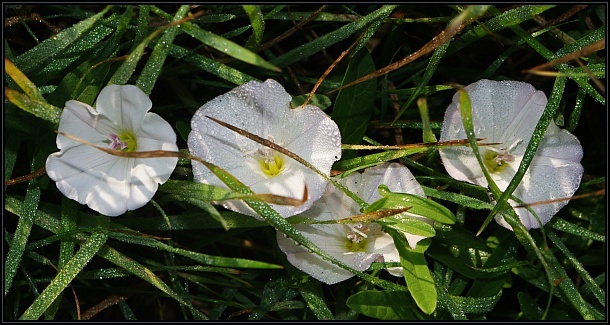 The Field Bindweed (Convulvulus arvensis) is a perennial weed which generally grows in grasslands and roadsides. 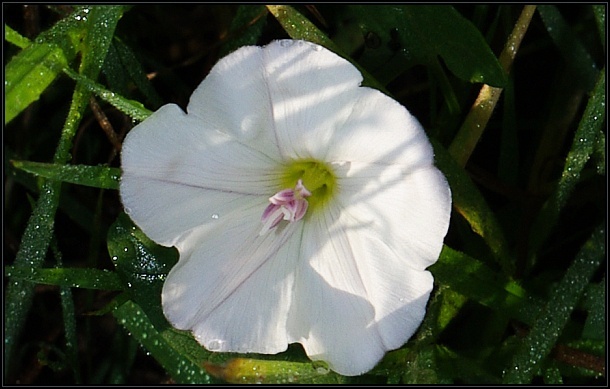 This species has large white (occasionally pink) flowers and sagittate leaves. 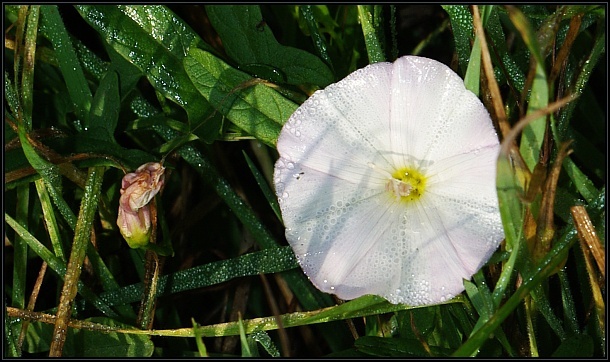 It is a creeping weed which tends to overgrow other species and competes with them for water and nutrients. 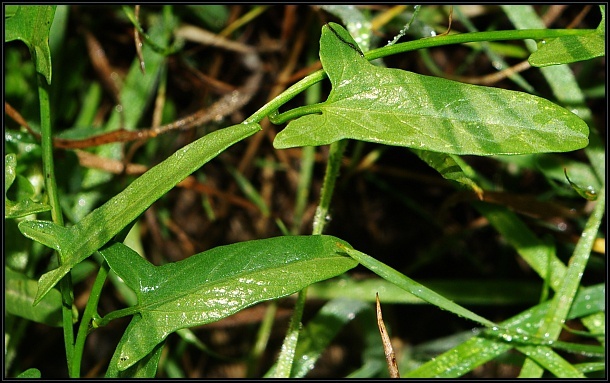 It tends to bind and intertwine with other plants reducing their foliar surface area exposed to light as well as cover them with its leaves.